Bikercell in the UK is not a club seeking members or territories – not CMC or even MM. We don’t particularly want you to join us and we don’t want your money! Bikercell Church is a group of Christian bikers who want to help you along your road as a disciple of God through Jesus Christ. We don’t have much time for religion but we do have time for our Father God and worshipping Him by praying, chatting, making music, reading the Bible (yes, we do! ), eating His bacon sandwiches (red or brown sauce?) – and riding, of course. We are a church without a building for people who don’t do church. Our “blueprint”comes from part of the Bible called Luke; Luke chapter 4: verses 18 and 19 in fact. THE CHRISTIAN CHURCH SHOULD EXIST MAINLY FOR THOSE OUTSIDE IT. If you’re a biker (or of that persuasion) and “recently” became a Christian or had an encounter with God, then STOP right there - careful if you ride an old Harley, they’re not known for stopping!! If you’re not sure whether you’ve done these, let us help. Do you want support with a hospital or prison visit? Maybe you want to find a local church but don’t want to go alone to start with (how should I behave??) we’ll go with you and we’ll even give you our opinion of your choice for free! Or, perhaps you’ve already had a bad experience of church (we have too) and aren’t ready for that – talk to us. Do you want to go to a Christian group of some kind but worry you may have to read or pray out loud? Practise with other bikers! Should you do one of those courses? We’ve done a few! Or you thought God had come into your life but it’s still the same old problems, temptations, addictions, relationship issues. Blimey, we’ve been there. We don’t have all the answers yet, but we know where they are. By striving together, the answers will come. If you feel God is calling you to work with us, that’s cool too. We expect the usual probationary period and background checks. We do not necessarily exclude serving law enforcement officers but you will have to prove your discretion to us and there still may be events to which you cannot come as a representative of Bikercell. In the US, Bikercell Church elders wear a one piece backpatch but in the UK, we wear a small support patch only. You should preferably have a custom or cruiser of at least 400cc and have the full support of your immediate family. You should have maximum respect for other Christian bike organisations. We don’t subscribe to any middle class notion of church (although some of us are unashamedly middle-class) and Bikercell church is not an idol more important than God himself. 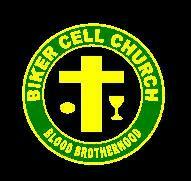 Bikercell are Pastor Steve, John, Mikey, Thumbs, Bas, Irish, Javan and friends.